Choose your own cloth diapers with a $25 GC to Diaper Junction! 12/23/16 FYSF, Win a $25 GC to Diaper Junction! Happy Holidays from Diaper Junction! This week we're giving you a chance to win a $25 Gift Certificate to Diaper Junction that you can spend on anything you like! From Fatbrain Toys and Re-Play Recycled, to Tula Blankets and Cloth Diapers, we've got a great selection sure to cover all your baby or toddler's needs. Enter to win using the Rafflecopter form below. Open to the USA & Canada. Winner must be 18 years or older to enter to win. Winner will be notified by email and will have 7 days to replay and claim their prize. Ive been wanting to try out some buttons dryer balls! And more diaper rite 3.1 AIO's. I bought one and they fit my lo perfectly! I've been eyeing the Diaper Rite 3.1 for my little girl. I would probably spend it all on more replay... And maybe a tube of Jack and Jill toothpaste if it's back in stock. diaper rite bamboo prefolds and 3.1 aio! I'd like to get some Diaper Rite bamboo flats, Rumperooz, Buttons, Best bottom, micro liners....the list goes on and on! I will like to try bumgenius diapers if I win!!! About to have our second in cloth and have been loving see all the love for diaper junction from everyone! Such an awesome giveaway! This would help us build our stash. I would love to CD but money is tight and we cannot afford new diapers. Thank you for the giveaway! Wool dryer balls! And I need to try the 3.1! I'd like more diaper rite 3.1 bamboo! This is such a great giveaway! I'd get some Planetwise wet bags or some Imagine fitteds. I would buy grovia diapers! I would love to stock up on more wet bags. They make a great gift bag! Thank you for the giveaway!! I want to try out a Diaper Rite 3.1! Love all the give aways! Thanks DJ and Merry Christmas! Would love to win and purchase more AIOs. I am loving my smart bottoms diaper and would like to have more in my stash! I would use it to purchase a Best Bottoms potty training set! We're so close! I just hate having to use disposable training pants during naps and night time. I would love to gift this to my daughter and let her choose - maybe AppleCheeks or Grovia. Thirsties!!! I need some size 2 covers:) btw I forgot to write that the bamboo flats was the product I gushingly reviewed!!! They are freaking awesome!!! Thanks for having them!!! Merry Christmas ???? I would love to try those Fat Brain toys out!! If I won the giveaway, I would grab some Fat Brain products! I think I would try some Buttons cloth diapers; I've never tried them! I think I would get a planet wise wet bag or some EMAB products! Love Buttons & smart bottoms!!! I'm a fan of Smart Bottoms so I'd probably buy another 3.1 if I won! Awesome giveaway! Thanks! I would definitely choose Thirsties. I think I'd put the $25 towards ordering some cloth pads for myself. The pink daisy brand looks like it's got good reviews. And it would be nice to get something for myself for a change. I am thinking maybe a Diaper Rite 3.1 and some Balm! Baby rash and/or first aid ointment!? So many things to try that I don't have yet!! I love so many of the brands you carry BUT I am brand-new to all of this so have yet to buy any for our baby due this spring! I would love to buy some flats, though, so that's what I would use the money for! Merry Christmas! I sooo need newborn bamboo prefolds!!! I hope anyone reads this cause they are the only size out of stock and I really wanted to buy them tomorrow!!! I'd like to try some Diaper Rite prefolds and maybe a Diaper Junction pocket diaper. I might use it to buy GroVia! Would love to try out the Diaper Rite fitted & some of their doublers! I'm not sure what I'll get yet-I love the fat brain toys and I need some diapers too for my 4 month old-thirsties and blueberry!!! I love all my planet wise products I've bought through diaper junction and would love to add to my collection! I think I would get something I haven't tried before. Maybe a blueberry simplex! Need trainers soon! What a good giveaway! I would either order a Tots Bots AIO (which I really want to try) or be more reasonable and get some flats to replace my prefolds. I don't really feel like the AIOs and prefolds get clean enough in the wash unless I do really long cycles. So it would save me time and money to have flats instead. But I do want some AIOs for when we are out and about. Love to add to the stash for my brand new little one! 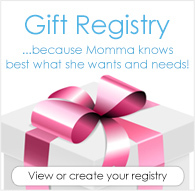 I would love to use the gift certificate to purchase a Thirsties or a nice quality diaper that we normally couldn't afford! I would pick up applecheeks. I really like their diaper covers. I would get something Grovia for baby #2!